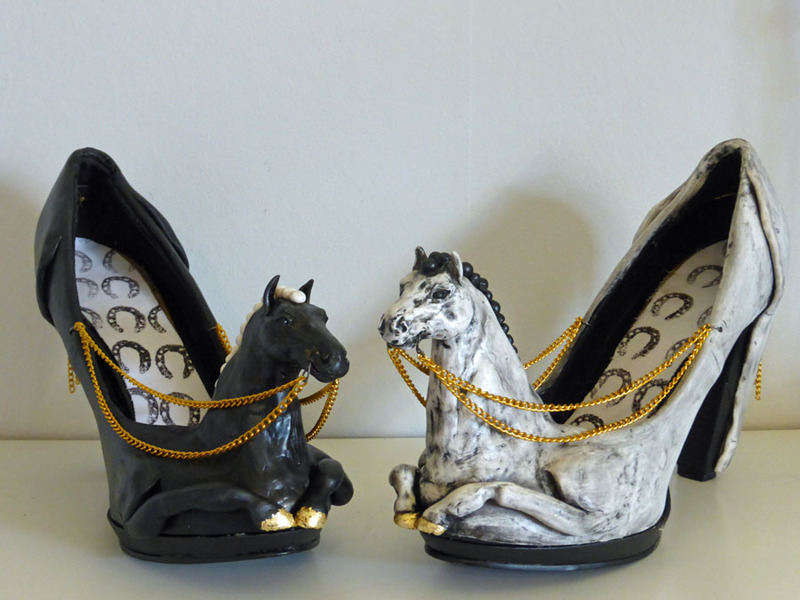 The Horse Shoes – finished! Usually I make all the artistic decisions during the creation myself, and I begin with a skeleton of steel wire, which I then build on. I decide proportions, angles and different dimensions. This time I had to follow the shape of a pair of ordinary high-heeled shoes. My aim was to turn them into a kind of horseshoes the world have never seen before. 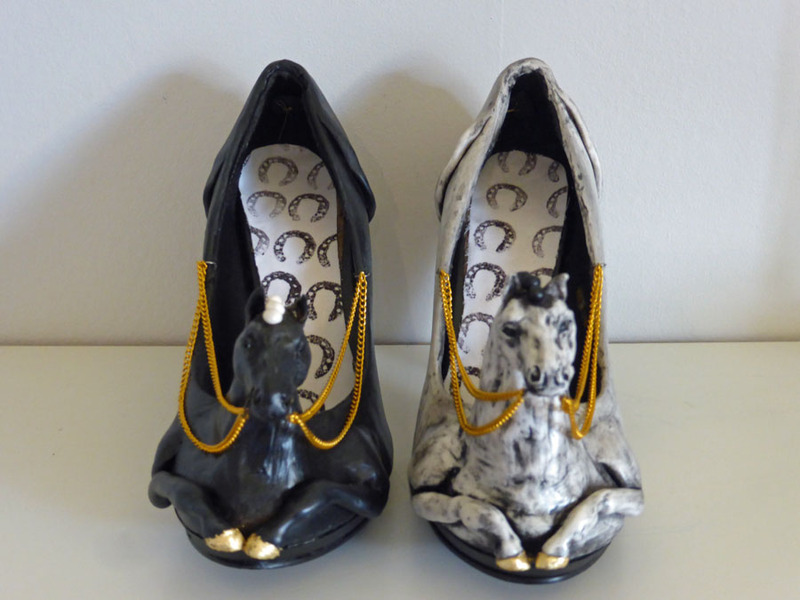 I started to cover the shoes with a thin layer of polymer clay, then I sculpted the horse’s heads and front legs on the fronts of the shoes. The high heel could be the hindlegs. 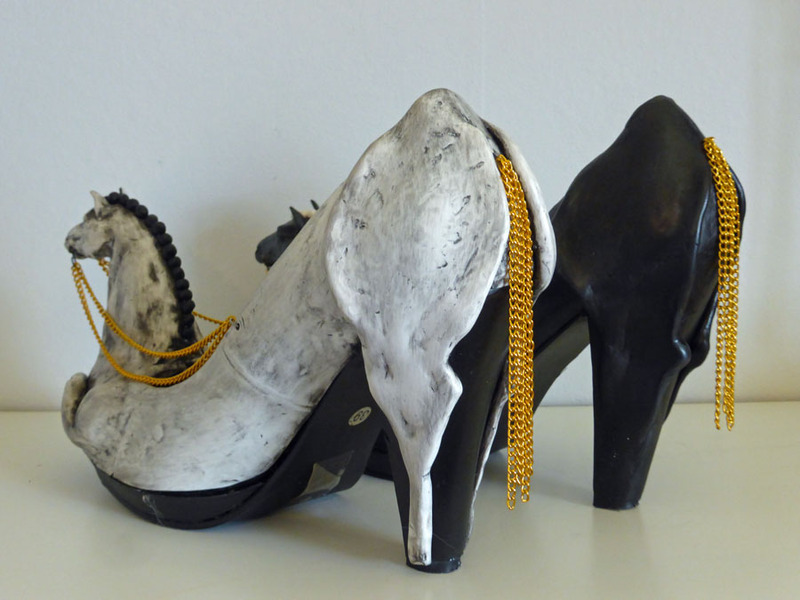 It was very exciting to give the shoes their final finish. I created small bridles of annealed steel wire to fit in their small mouths to which I connected double reins of golden chain. To provide consistency I used the same kind of chain to create tails in the rear part of the shoes. 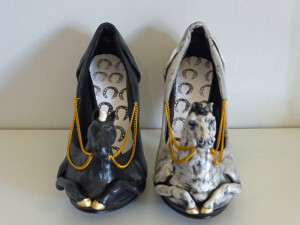 I also created a piece of fabric with horseshoes pattern (yes, the pattern printed with a stamp made of polymer clay) that I used inside the shoes. If it is possible to use the shoes? Yes, they can be used as shoes, but I do not recommend it. 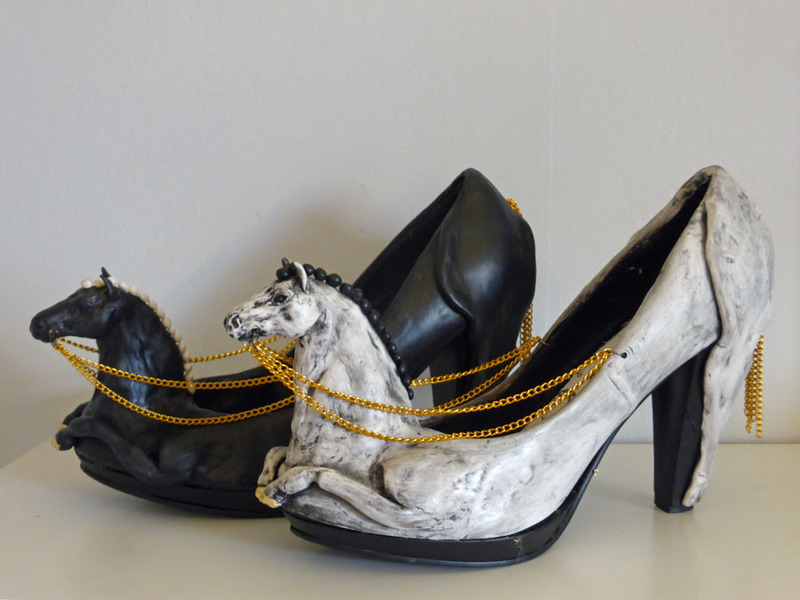 These are not shoes any more, but a piece of art. If you would try to use them he risk of accidentally hurt the horse’s heads is very large.